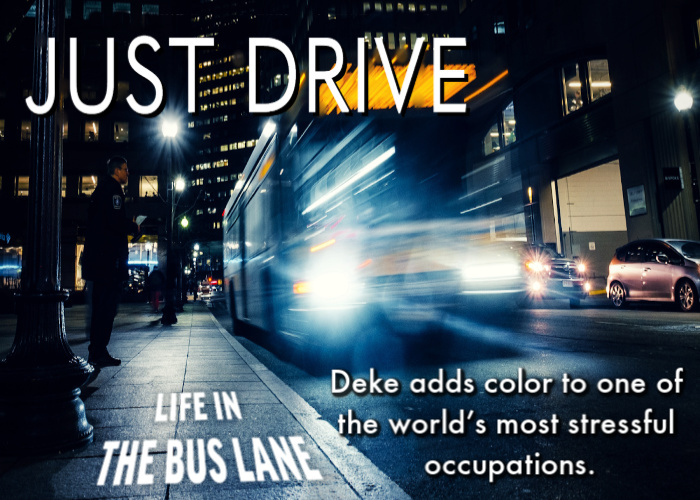 Deke’s blog covers a wide range of thoughts and feelings as he maneuvers his bus along the quirky and often unforgiving streets of this Northwestern metropolis. People have described his writing as riveting, engaging, and vividly descriptive. 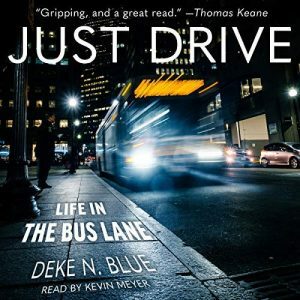 For me I really loved this audiobook as it felt a little personal since I do some driving as an occupation currently. I loved hearing about the crazy shenanigans his passengers and coworkers got up to. 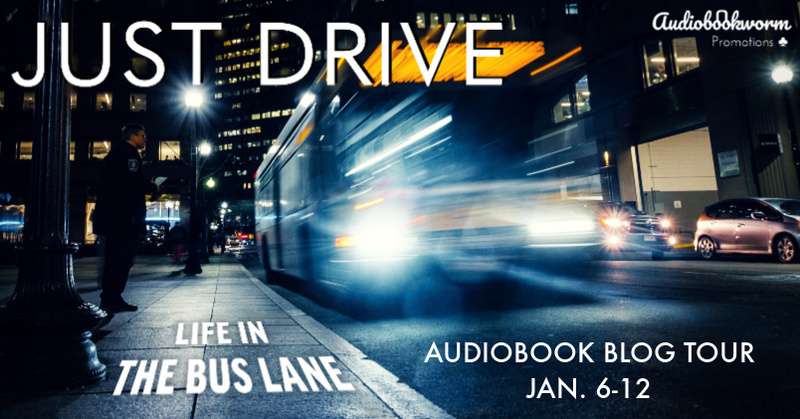 It was a blast reading/listening to and if you’ve ever wanted to know the deep dark secrets of a bus driver I recommend! I’m giving this story 5/5 stars. Meyer also really made this audiobook stand out with his narration. I hope he narrates a bunch more memoirs as I’d love to hear his take on other stories! I give him a 5/5 stars as well. I received this audiobook as part of my participation in a blog tour with Audiobookworm Promotions. The tour is being sponsored by Deke N. Blue. The gifting of this audiobook did not affect my opinion of it. After I completed my first audiobook. I just enjoyed the work and author interaction too much to NOT do this more. Honestly no, audiobook narration was not a long time goal. My wife mentioned some years ago that I should try it, but I never gave it a lot of thought. I recorded one book many years ago as a volunteer effort for a regional library for the blind/visually impaired community. in that experience I plowed through All Quiet on the Western Front, recording it into a dual-deck cassette tape boombox. Whew! Needless to say the personal computer has made a home recording studio a MUCH less cumbersome venture. An acting background can certainly be helpful but it’s not essential. 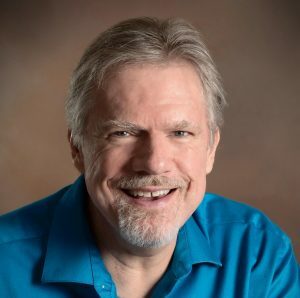 For those of us who are sole proprietor narrator/producers, managing the business and technical requirements of audiobook narration, along with constant communication with the author/rights holder, are as essential as voice acting skills. 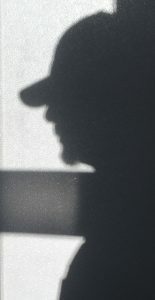 Besides the parental training of reading stories to my daughters when they were little, more recently I’ve studied with acting and marketing gurus David H. Lawrence XVII and Dan O’Day in their masterclass which focuses a lot on the technical and business aspects of the audiobook sector. I am indeed an audiobook listener and a big fan of the format. I really appreciate being able to enjoy a good story during otherwise “dead” time like driving, yard work, or killing it on the elliptical stepper at the gym. I’m a big fan of bios and memoirs. Often the best stories are the true stories. Deke’s tales from the trenches of customer service in a major U.S. city inform and entertain. Closely! I don’t expect to be invited over for Thanksgiving dinner or anything, but in the interest of moving the project along we are updating each other constantly. Frankly, I usually don’t feel I decide how a character sounds. I lean on the story tone and nuance to inform that aspect. In Just Drive, the main character is Deke in his first-person narrative. Do I physically/audibly sound like Deke? Probably not. But his writing gives us the essence of what he sounds like. Dryness and fatigue. If I haven’t hydrated properly through the day (and I notoriously don’t drink enough water), I will inevitably be plagued by annoying mouth clicks and pops. And I can always tell when fatigue is setting in when I find myself restarting and recording the same passage over and over. I don’t think that argument is valid. I’ve listened to more books in the past two years than I had time to read in the previous ten years. I suppose it’s largely a personal preference thing, and that is valid. Some folks, like my wife, just don’t get along well with headphones or earbuds. But don’t think you’re cheating yourself by listening to a well-done audiobook vs. reading the hard copy. The story’s images in your mind’s eye are just as vivid, sometimes more so, when properly recorded.